Aeration is another key component of lawn care. It involves perforating the soil with small holes to allow water, air and nutrients to penetrate to the grass roots. This spurs new root growth and produces a strong and vigorous lawn. Aeration also alleviates soil compaction. Designed for landscapers, the stand on aerator is up to 3X more productive than a walk behind unit. It features a working width of 48" that is rated to aerate 98,000 square feet per hour. The machine weighs 1,235lbs so a trailer is required to transport the machine. 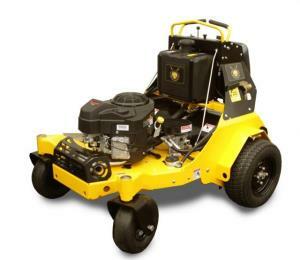 * Please call us for any questions on our aerator classen stand on rentals in Hillsdale and Ridgewood NJ.